US food and drug regulator approves Golden Rice for consumption; among Asian nation, Philippines and Bangladesh lead in research and testing of GR2E. Bengaluru: The US food and drug regulator has approved the world’s first genetically modified rice, called Golden Rice, for consumption amid a raging controversy over GM food. Developed over the past 20 years, the GR2E Golden Rice has been touted as a solution to Vitamin-A deficiency (VAD) in many underdeveloped and developing nations, especially in Asia where rice is often the staple food. A 2008 study on malnutrition found that VAD, which exhibits symptoms such as blindness and dwarfism, kills over six lakh children every year. In our neighbourhood, the Philippines and Bangladesh lead in the research and testing of GR2E. The USFDA is the third regulatory body to give its nod to Golden Rice, named for its yellow-golden colour, after approvals from The Food Standards Australia New Zealand (FSANZ) and Health Canada in February and March this year respectively. Back in 1999, two scientists — Ingo Potrykus of the Swiss Federal Institute of Technology and Peter Beyer of the University of Freiburg — published a paper introducing the first version of Golden Rice (Oryza sativa ). They had introduced the DNA of daffodils and bacteria in regular rice, making it a pale yellow colour instead of pure white. Then field trials were conducted in the US, the Philippines, and Taiwan in 2001, and more recently in Bangladesh in 2015, which confirmed that the crop could produce nearly five times as much beta-carotene as crops in greenhouses. Later in 2005, a Swiss company called Syngenta (now acquired by ChemChina) merged Golden Rice genes that produce carotenes with those of maize, resulting in more than 20 times improved production of beta-carotenes in the new variety. Now, the GR2E is being developed by the non-profit International Rice Research Institute (IRRI) in the Philippines. The campaign against GR2E was partly misinformed, partly politically motivated. Green Rice was probably one of the earliest, if not the only, GM crop where the debate is no longer about pest resistance and chemical fertilizers, but about benefits. One argument is that the benefits of GR2E are too little. But this isn’t the case at all. Several studies have shown that GR2E provides enough Vitamin A to combat VAD with a minimal amount of rice, just over half a cup a day. Detractors also offer alternative sources for Vitamin A such as sweet potatoes, but such foods are not available in all seasons or affordable to everyone. Contrary to popular belief, carrots do not have as much Vitamin A as one would think. Greenpeace is probably the biggest critic of any GM crop developed. Its primary argument is that the crop does not benefit farmers, only commercial enterprises. But data disproves this. GR2E has a cap of commercial use set at $10,000. Farmers or any consumers are allowed to plant and replant this crop as long as they don’t exceed this amount in profits. Farmers are also allowed to keep the seeds and replant them. Furthermore, licences are free as well. Bangladesh and the Philippines lead the path to releasing the first GR2E variety for consumption. IRRI is also currently working to create healthier rice varieties that contain improved quantities of iron, zinc, and beta-carotene. “Each regulatory application that Golden Rice completes with national regulatory agencies takes us one step closer to bringing Golden Rice to the people who need it the most,” said IRRI director general Matthew Morell. 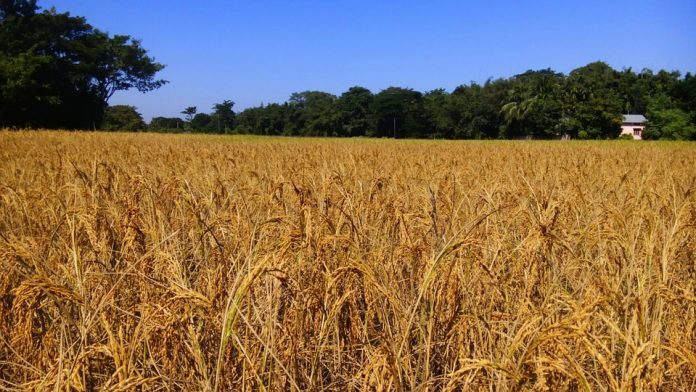 “The rigorous safety standards observed by the US FDA and other agencies provide a model for decision-making in all countries wishing to reap the benefits of Golden Rice,” he added. Those issues are decreasing due to the proliferation of successful GE crops both in India and Bangladesh. Time will be needed though.